Vitamin A is really a group of organic compounds that are essential not only for vision, but also just as important for healthy skin and mucous membranes (thus helping prevent the invasion of infection), and for growth. 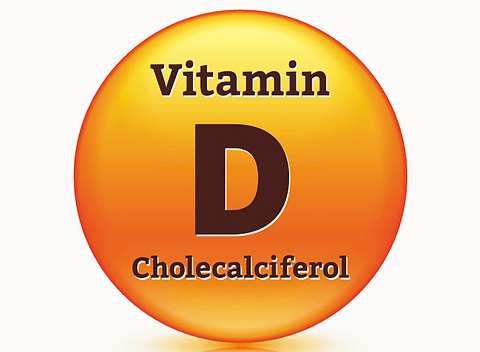 Vitamin A aids in the breakdown of bone so that it can be rebuilt to larger sizes as you grow. In children, failure to grow is a first sign of too little vitamin A. It may also be necessary for reproduction and lactation. Proper immune function relies on vitamin A.
Vitamin A is fat-soluble and can be found in two forms: the active (preformed) and the precursor forms. 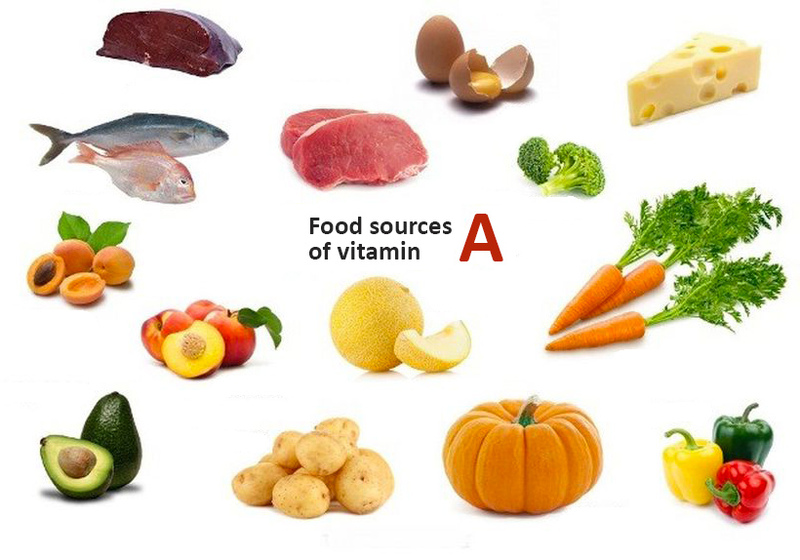 Preformed vitamin A is found only in animal products, especially organ meats where it is stored, egg yolk, butter, and milk.  The most common form of active vitamin A is Retinol. The precursors to vitamin A are known as carotenoids. Beta carotene is an orange pigment carotenoid that causes the foods that contain it to be easily identified, like carrots, sweet potatoes, cantaloupe, and apricots. Some dark green vegetable also contain carotene, but the chlorophyll in the vegetable masks the orange or yellow. The darker green or deeper orange the color of the fruit or vegetable, the better indication of its carotene content. Your body will convert beta carotene to the active retinol – vitamin A at the rate your body requires, and that requirement is proportional to your body weight. Needs are expressed not as milligrams but as RE (retinol equivalents). Before 1980 they were expressed as IU (International Units). An adult male needs about 1000 RE per day, a woman 800 RE, unless she’s pregnant or nursing, in which case she needs more. 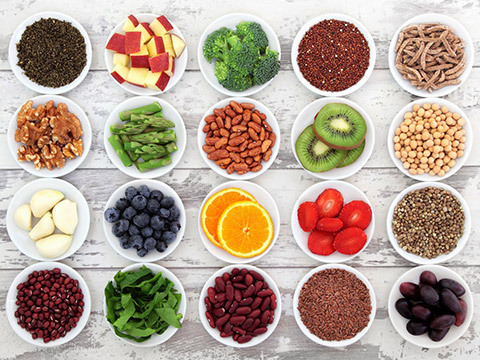 If you get your vitamin A in its preformed state, either from food or a supplement, what you take in beyond your needs will be stored. 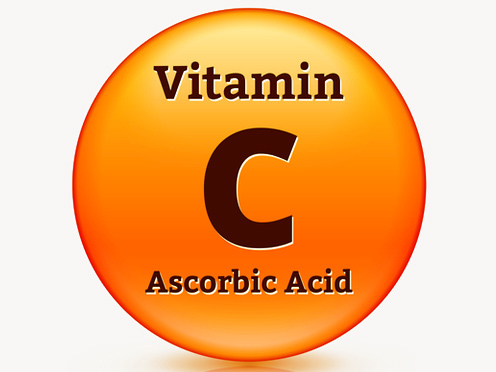 Stored vitamin A can reach toxic levels. It’s hard to reach toxic levels if you get all your vitamin A from food, but toxicity is a real danger for people who take vitamin A in capsule form. Excesses stored in the liver can cause jaundice and liver damage. Symptoms of vitamin A poisoning include bone pain, itchy eyes, blurred vision, nausea, hair loss and very dry skin. Toxic doses begin at 5 to 10 times the recommended intake. Don’t be alarmed, however, when you read nutrition labels on some foods claiming to contain 500% of the Daily Value for vitamin A. Unless it’s straight liver, its most likely expressing the amount of beta-carotene contained in the food that could be converted to vitamin A. 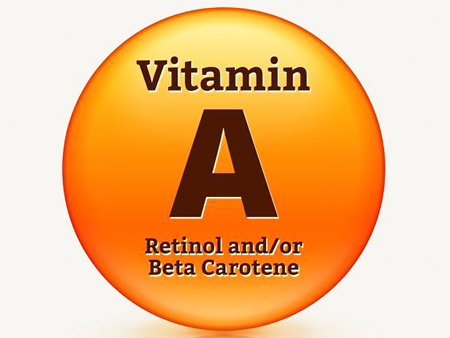 Unlike vitamin A, even in large doses beta carotene is not toxic. Remember, your body will convert only what it needs to vitamin A. If you eat lots of foods rich in carotene the biggest danger is that your skin may turn harmlessly orange. Many an infant whose favorite food is pureed carrots has caused him mom to worry when his skin turned a jaundiced looking yellow. Beta carotene receives lots of good press these days, not because of its ability to be converted into vitamin A, but because of its recently discovered anti-oxidant properties. It seems that its ability to protect cells against breakdown by free radicals helps inhibit some forms of cancer. “Eat your carrots because they’re good for your eyes!” Did Mom know that carrots contain the makings of vitamin A, a nutrient important to maintaining the health of the cornea and light perception in the retina? This vitamin is fairly resistant to damage from heat and water so it can stand up to some cooking, but overcooking will reduce amounts of vitamin A by 25%. Moderate cooking may actually increase vitamin A by helping breakdown cell walls and making it more available. Vitamin A deficiency is rare, but when it does occur will cause vision problems, poor growth, and susceptibility to infectious diseases.